A timetable is an exclusive tool for managing time, and yet not so many people uses it. If you have a lot of work to handle or so many disciplines to manage every day, chances are you are likely to forget to handle tasks appropriately or worse, forget to handle some important tasks which you should have. The same timetable is your savior, and this can’t be truer if you have a lot of work to handle from Monday to Friday. Luckily, there are sample timetable templates that you can use for proper planning, and this list gives you the best options. The sample timetable best fits college students who want to create personal study schedule. The sample is best ready for print and data entry and it perfectly fits all of your needs for personal studies. 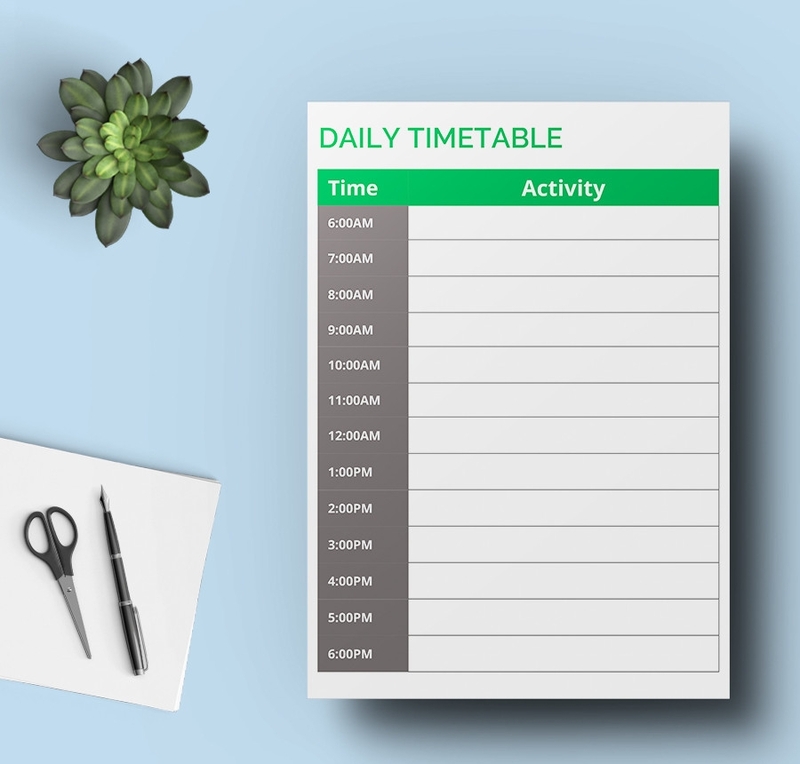 Daily timetable not only helps you to spend your time wisely but also enhances your art of accountability. 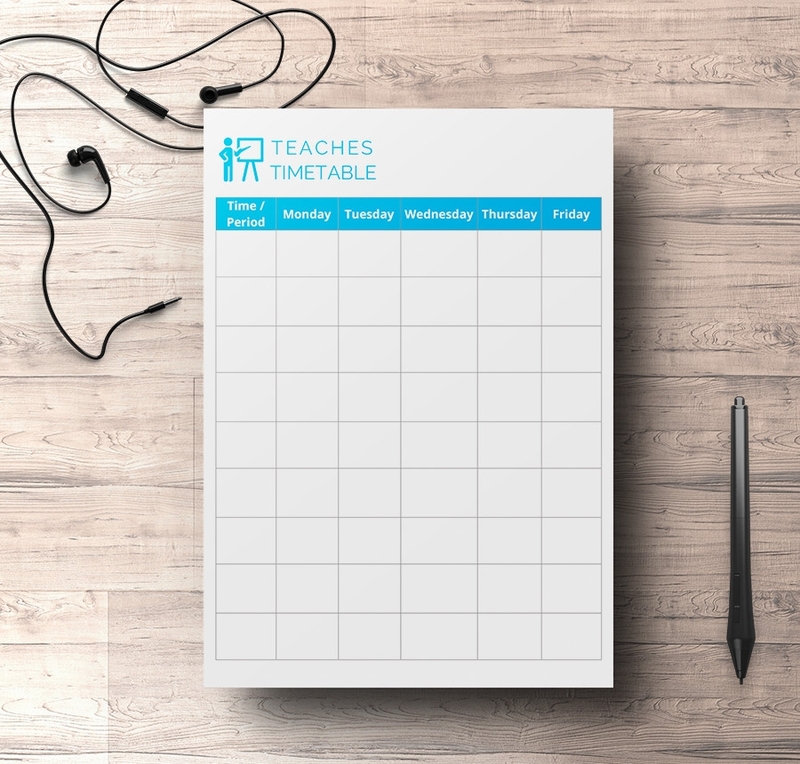 You can download this sample file, print it, and then use it to create a timetable that best suits you. This sample file outlines activities and their respective time limits. Whether you have many events to attend or just a couple of tasks to complete, this piece of paper can help you schedule your time wisely. A fitness timetable can help you boost your moment of exercise. The sample document is easy to use. You only need to fill out the type of workout and then note the time limit for that exercise. 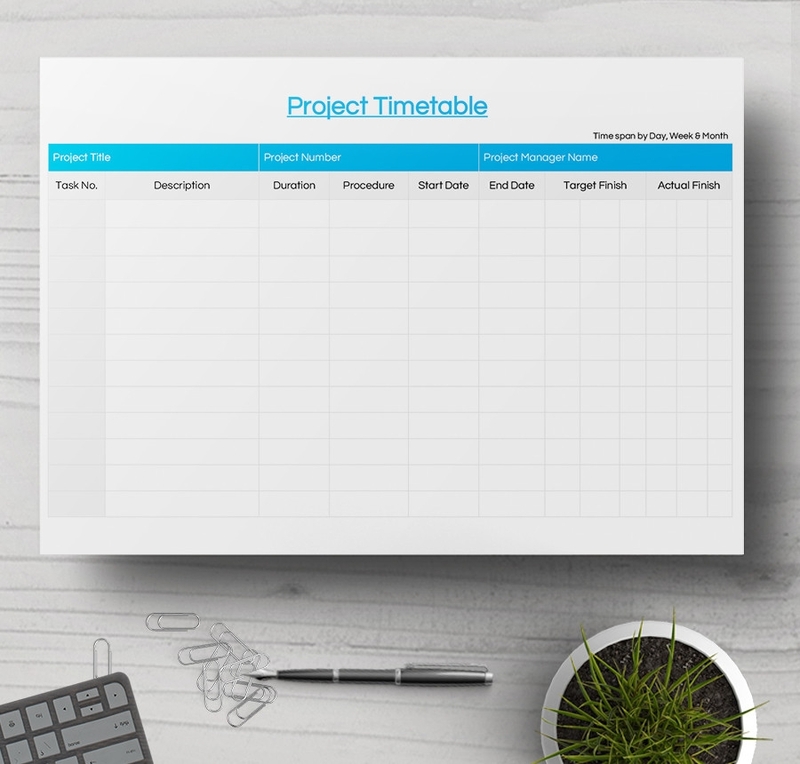 Use a project timetable to indicate when a project starts and when it ends. Divide the project into suitable units, and then assign each part their respective time limits, too. Then, you can use the document to manage your project without wasting time. It is important to have a personal study timetable. The document enables you to spend time wisely without wasting even a second. If you want to make every minute in your school life count, use this template. Teachers who use timetables to teach always do the best job. For a teacher, a timetable is a perfect teaching guide, which helps to deliver the best services to students of all levels of education. 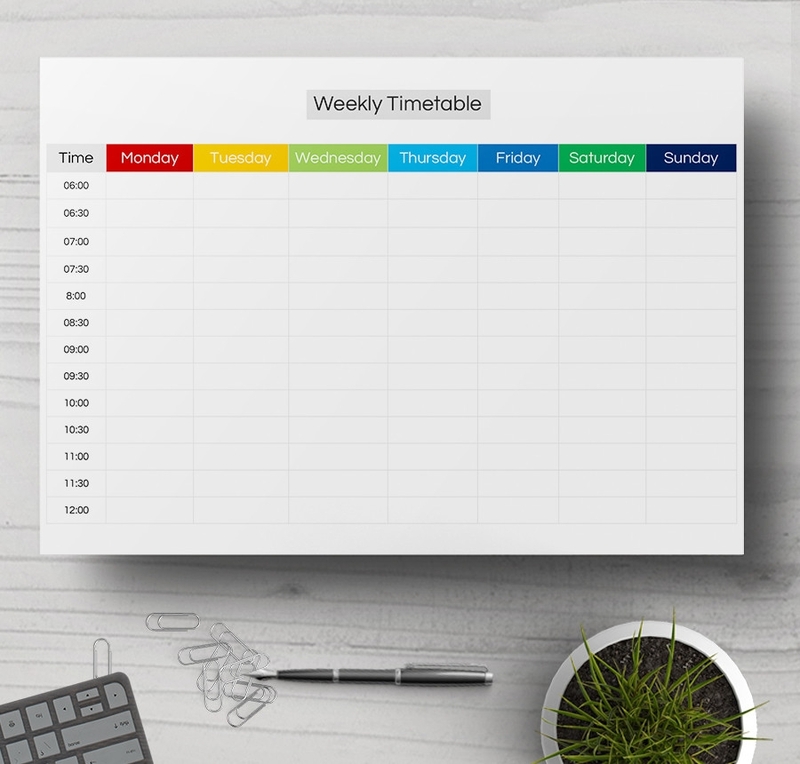 Weekly timetables are suitable for people who have tasks that require weekly submission. If you are one of those people who work on projects with weekly deadlines, this is the best document for you. 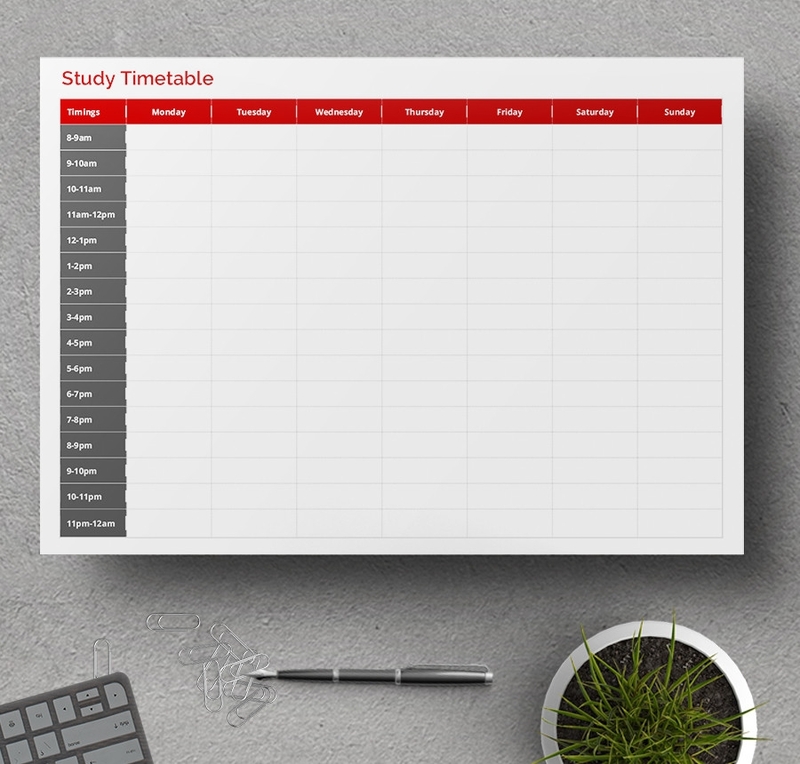 Timetable templates are common in learning institutions. They help students and teachers alike to keep track of time and handle lessons appropriately. There are two timetables used in schools: personal timetable and school timetable. Timetables are also used in homes as well. Parents can create guidelines to help their kids learn at home during the holidays as well as on the weekends. 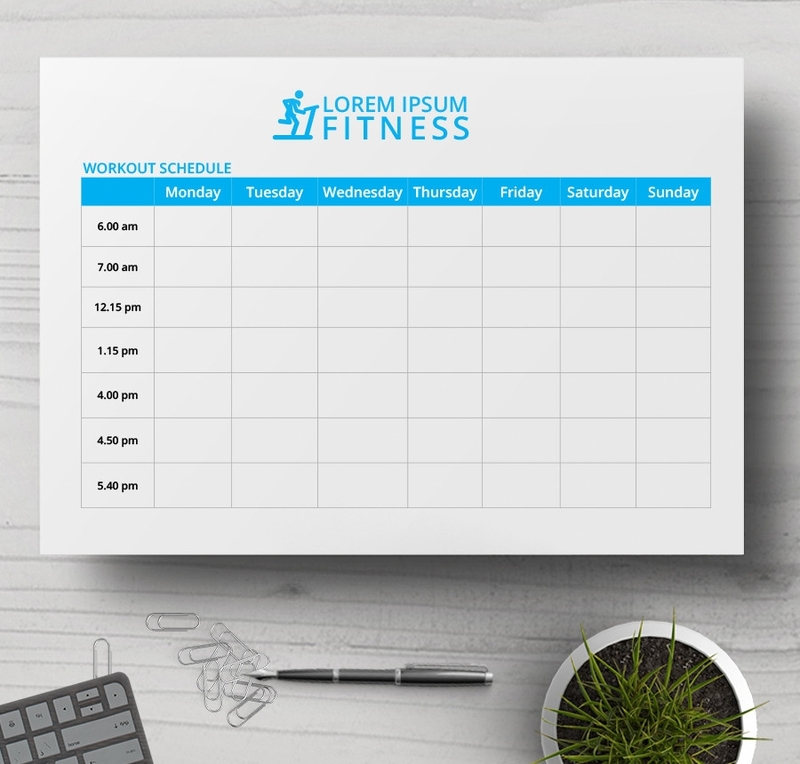 You can also use a personal timetable for work purposes. Usually, an employee uses this document to outline what they will do and for how long and whether their daily responsibilities are constant throughout the week or not. Sample timetable templates are free to download. Hence, you don’t have to spend money hiring someone to do the job for you. Of course, we have designed these templates for you in such a way that they will meet your immediate and continuous needs, which means you don’t have to spend time on your computer to create the templates. The templates are free for commercial use, as long as you credit this post. The most important thing to remember is you can use these templates to control how you work. 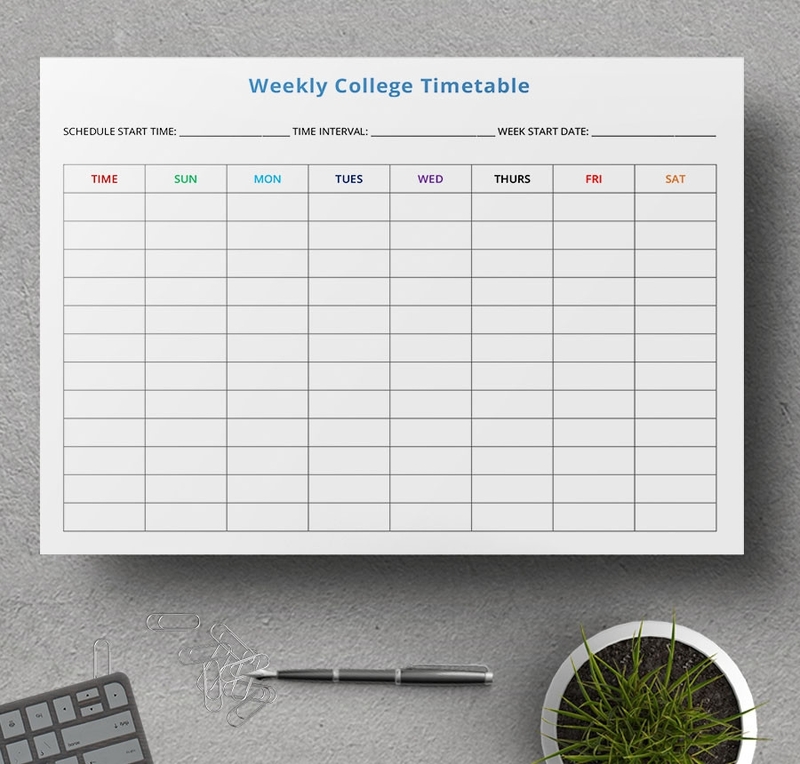 Using a timetable can enhance your accountability, so much, in fact, you become more productive at school, in your place of work, as well as at home.